* So backing up a little … I went to my sister’s house! So wonderful to shut the brain off for a week. Spent time by the pool getting some sun and when to an Art in the Park event. Top Left to Right .. Little Mister and his Uncle Rob, my girl Sarah, my niece Shannon. Then down to my sister taking a pic of me taking a pic, down to my Mom and other niece Melli – loo , and The two girlies hanging together! * Ever have half a bottle of WINDEX spill out in the car!?? Whoa what a strong- over- powering -curl -your -nose- hairs -smell that was! That is an awesome collage! I’d love to spend a week by the pool . Sounds fun. Love the collage too, I gotta learn how to do that. 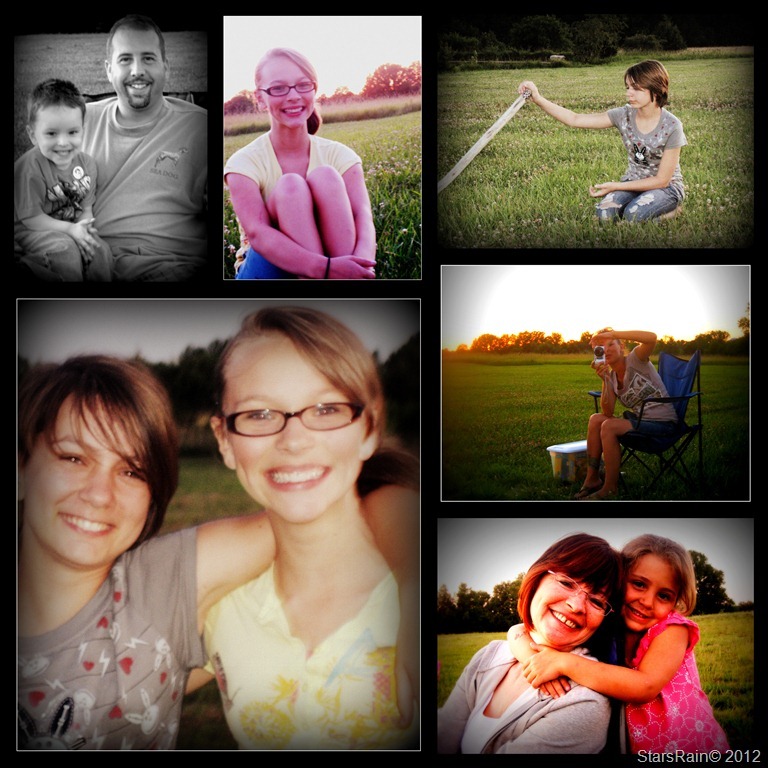 did you use picmonkey to make your collage? Fun, isn’t it! congrats on getting that closet cleaned! @ Wayne – Thank you! @Cathy- thank you ..I love making those!! @Susan – No I dont use picmonkey..i use Picasa. SO FUN!!! @Keetha – OH YUCK! so so sorry for that..windex dried in the sun…all good now. Wait a second…I read a different post tonight from another fragmenter II think) who also spilled a bottle of Windex in her car. Am I imagining that?? Glad you got some downtime with your sis. Thanks for linking up! Have a great rest-of-your weekend!